The Bernards Township Library probably began sometime between 1751 and 1787 under the pastorate of Rev. Dr. Samuel Kennedy, fourth minister of the Presbyterian Church in downtown Basking Ridge. 1760​- Bernards Township is created by Charter. 1809- Basking Ridge Library Company applied for incorporation. The founding members had been loaning books and pamphlets among themselves and formed an association around that activity, modeling themselves after Benjamin Franklin’s literary group, the Junto Club of Philadelphia. 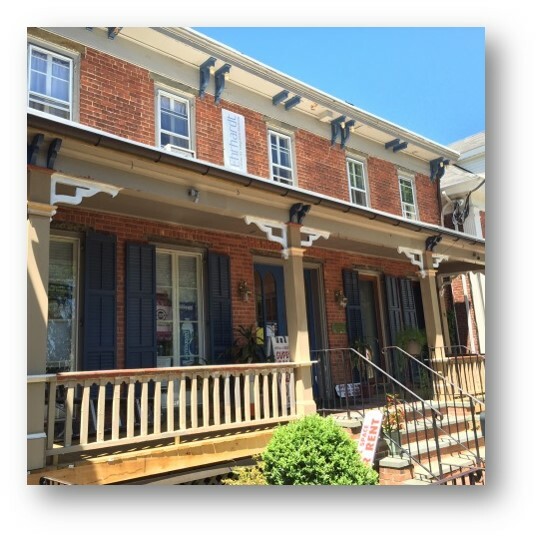 At the Library's first location on the 2nd floor of what is now Weichert Realtors on Henry Street, books were brought in on certain nights and exchanged There were 53 subscribers who paid a membership fee of 25¢ per person. Each subscriber received a catalog with the full list of books. In 1893, the library was relocated to the home of Mary and Elizabeth Barkalow to what is now 31 S. Finley Ave (pictured). The Barkalow sisters housed the library in exchange for free memberships and were eventually awarded salaries of $1/week. 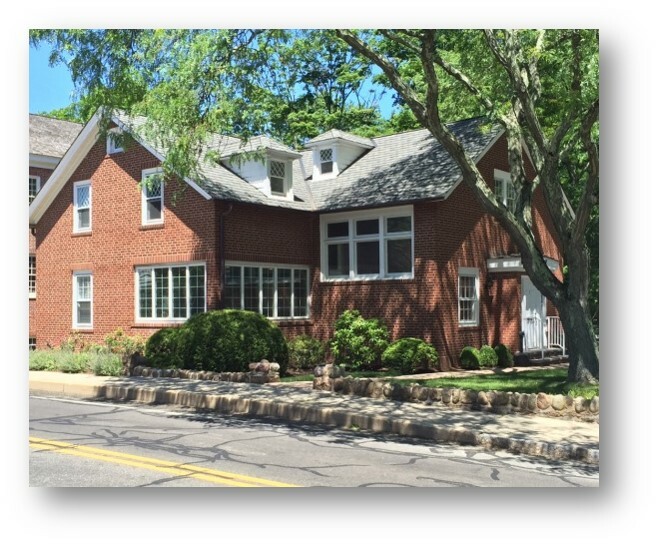 May 21, 1898- Efforts to organize led to a mutual loan library and the incorporation of the Basking Ridge Free Public Library in 1898. This we record as the official beginning of the Library structure we know today, although several significant changes can be noted since then. Then, just as now, the Library served as a center for community life. Soon after incorporation, the library moved to 23 South Finley Avenue (now the home of Ridge Pizza), which had been remodeled by the owner, Samuel S. Childs. The remodel of the building also included a small stage and a bowling alley. The bowling alley was used to provide a source of income for the library, which had no municipal funding at that time. By 1900, it owned over 1,000 volumes and boasted more than 200 members. 1909- The library moved to its 4th location, on the corner of West Oak and North Finley. The remodel included a duplex apartment to be used as a source of income for the library. 1919- The library owned more than 4,500 volumes. 1935- The Township Committee and the Board of Education contributed to the library annually. 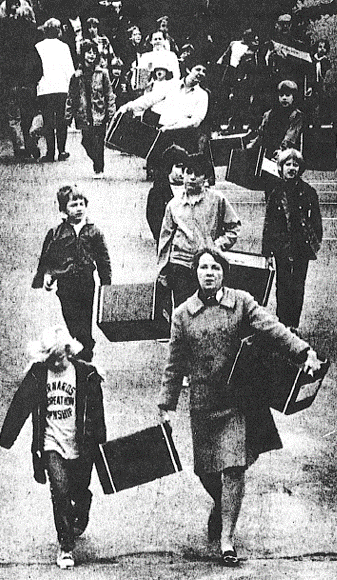 October 12, 1974 - Volunteers, mostly made up of Kiwanis Club members and Ridge High School Students, brought donated file boxes to help move 26,000 books to their new home at 32 South Maple Ave. The "Book Brigade" took just 2 hours and saved the library thousands in moving fees. 1990- The library catalog becomes available online. 1991- The parking was expanded with the addition of the lower parking lot. 1993- ADA-compliant doors were added to front and rear entrances. 1997- The library joined MAIN (Morris Automated Information Network), providing easy access for our users to over 2 million items. 1999- A large expansion adds to the Library's square footage. Today the library is open 64 hours a week, has almost 17,000 registered users, over 140,000 physical items and loaned 409,636 items in 2018.